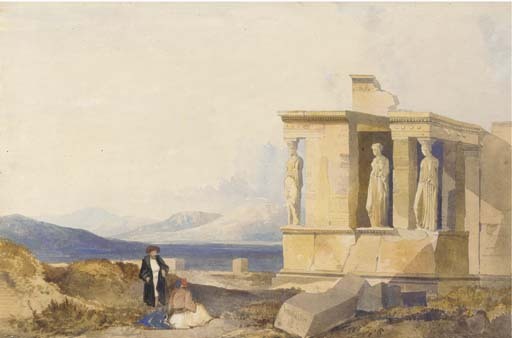 In late September 1838 Müller arrived in Athens, on his way to Egypt, where he met the architect Pennethorn who introdued the artist to the ancient sites and on 2 October he sketched the Acropolis for the first time. During his six week stay he made numerous drawings of the Acropolis, as well as of the city itself and the plains of Marathon. This view depicts the Erectheon beneath the Acropolis and not the east front of the Acropolis as described in the catalogue.